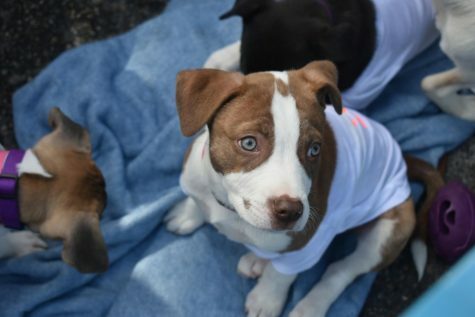 Puppies in shirts, puppies running with a football, puppies that were being held, puppies that needed a home. Pup Bowl was a pet adoption and family-fun event that benefited Charleston Animal Society. Feb. 2 in Town Centre. 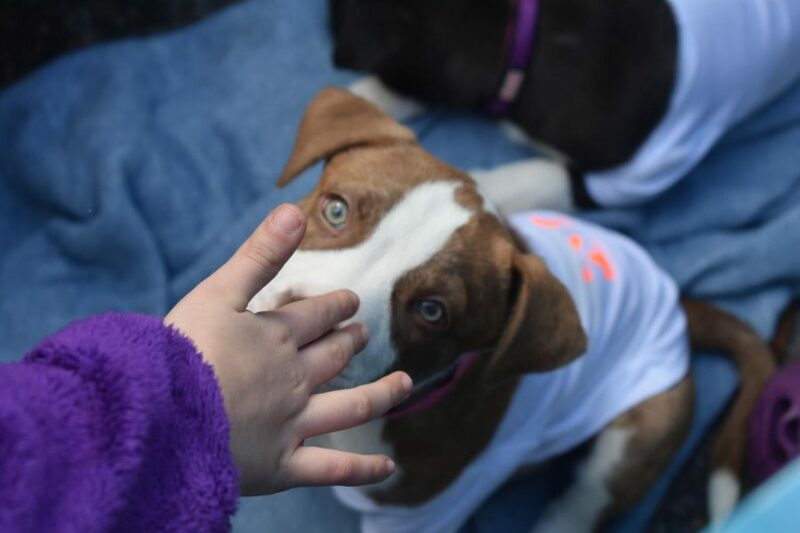 While the main focus was the pup adoption bowl, live music was performed by DJ Luigi, along with food trucks, a bounce house, a photo booth, face painting, cotton candy and balloon animals. Puppies were split into two teams, red vs. white. The “rufferees” were present to help with the adoption process. 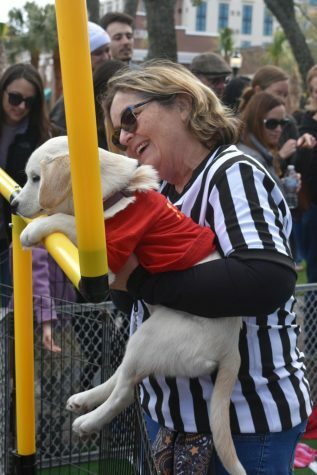 Above, one of the “rufferees'” holds a puppy who is up for adoption. Each group of puppies was split into Q1, Q2, Q3, Q4. that found new homes was a win for the Charleston Animal Society. The puppies came up for the ultimate battle when called. Q1 started off with the group of tiny, adorable puppies that wore numbered jerseys and were put into a tiny football field. Each potential adoptee (over 18) was given a number that would be called out one at a time for them to choose their puppy. The “rufferees” stood by on field to call out the adoptive parents numbers. Each puppy that was adopted was a touchdown. The crowd went wild and cheered for each puppy that was given a new home.